Monarch’s Enhanced Services are designed to improve the range of mental health, substance use disorder and developmental disabilities care for those with chronic and complicated disabilities as defined by the state of North Carolina. Below you will find detailed descriptions of the person-centered support that we offer, eligibility criteria and the stories of people who are experiencing a better quality of life as a result of these programs. 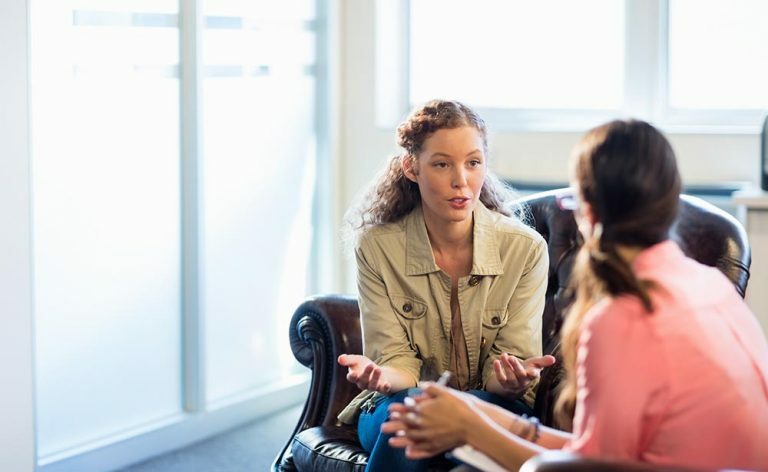 An Assertive Community Treatment Team (ACTT) consists of a community-based group of medical, behavioral health and rehabilitation professionals who use a team approach to meet the needs of an individual with severe and persistent mental illness. An ACTT provides person-centered services addressing the breadth of an individual’s needs, helping him or her achieve their personal goals. Thus, a fundamental charge of ACTT is to be the first-line (and generally sole provider) of all the services that an individual receiving ACTT needs. Beneficiaries (ages 18 and over) with severe and persistent mental illness; priority is given to people with schizophrenia, other psychotic disorders (e.g. schizoaffective disorder) and bipolar disorder because these illnesses more often cause long-term psychiatric disability. Beneficiaries with other psychiatric illnesses are eligible dependent on the level of the long-term disability. Individuals with a primary diagnosis of a substance use disorder or intellectual/developmental disabilities are not the intended beneficiary group. Significant difficulty maintaining a safe living situation (for example, repeated evictions or loss of housing or utilities). Difficulty effectively using traditional office-based outpatient services. There are no indications that available alternative interventions would be equally or more effective based on North Carolina community practice standards and within the LME-MCO service array. Community Support Team (CST) services consist of community-based mental health and substance abuse rehabilitation services and necessary supports provided through a team approach to assist adults in achieving rehabilitative and recovery goals. It is intended for individuals with mental illness, substance abuse disorders, or both who have complex and extensive treatment needs. CST is designed to reduce presenting psychiatric or substance abuse and is available 24/7. There is a mental health or substance use disorder diagnosis as defined by the DSM-5, or any subsequent editions of this reference material, other than a sole diagnosis of intellectual and developmental disability. For beneficiaries with a primary substance use disorder diagnosis, the American Society for Addiction Medicine Criteria is met. Within the past 6 months, physical aggression, intense verbal aggression, or both toward self or others (due to symptoms associated with diagnosis) sufficient to create functional problems in the home, community, school, job, etc. There is no evidence to support that alternative interventions would be equally or more effective, based on North Carolina community practice standards (for example, American Society for Addiction Medicine, American Psychiatry Association) is available. This service provides therapy and case management when a child or young adult is at risk of out-of-home placement. It is a stepup from outpatient care due to case management needs. We help manage a child’s behavior and assist and empower families in developing problem-solving skills and accessing community resources. Our staff will work with the entire family at their home to provide therapy, in addition to case management when the child progresses and steps down to outpatient. This is designed as a six-month program to work on case management needs to ensure the child stays in their home environment. Has a primary diagnosis of a serious mental illness (SMI) that includes severe and persistent mental illness (SPMI) and co-occurring disorders. This may include a primary substance use disorder diagnosis. In or at risk of placement in a congregate setting or difficulty maintaining safe living situations, including homelessness. Co-occurring mental health and substance use disorders. High risk of crisis diversion, intervention, including hospital transitions. Difficulty with daily living, communication, interpersonal skills, self-care, self-direction. High risk or recent history (within the past 12 months) of criminal justice involvement (such as arrest, incarceration or probation). Individual Placement and Support – Supported Employment (IPS-SE) is a person-centered, behavioral health service with a focus on employment, that provides assistance in choosing, acquiring, and maintaining competitive paid employment in the community for individuals 18 years old and older for whom employment has not been achieved, has been interrupted or intermittent. Expresses the desire to work and has an established pattern of unemployment, underemployment or sporadic employment and requires assistance in obtaining or maintaining employment in addition to what is typically available from the employer because of functional limitations as described above, and behaviors associated with the individual’s diagnosis. When a family feels they have come to a point of crisis with a child experiencing mental health problems, Monarch will go to them to create an environment for success through the Intensive In-Home Service (IIHS). We help manage a child’s behavior and assist and empower families in developing problem-solving skills and accessing community resources. Our staff is available around the clock to work with the entire family at their home. We will do whatever it takes to prevent out-of-home placement for a child with a mental health diagnosis. This is designed as a six-month program to work on case management and therapy needs to ensure the child stays in their home environment. There is a mental health/substance use disorder diagnosis (as defined by the DSM-IV-TR or its successors), other than a sole diagnosis of intellectual and developmental disability. Based on the current comprehensive clinical assessment, this service was indicated and outpatient treatment services were considered or previously attempted, but were found to be inappropriate or not effective. The youth has current or past history of symptoms or behaviors indicating the need for a crisis intervention as evidenced by suicidal/homicidal ideation, physical aggression toward others, self-injurious behavior, serious risk-taking behavior (running away, sexual aggression, sexually reactive behavior, or substance use). The youth’s symptoms and behaviors are unmanageable at home, school, or in other community settings due to the deterioration of his or her mental health or substance abuse condition, requiring intensive, coordinated clinical interventions. The youth is at imminent risk of out-of-home placement based on the child or adolescent’s current mental health or substance abuse clinical symptomatology, or is currently in an out of-home placement and a return home is imminent. There is no evidence to support that alternative interventions would be equally or more effective, based on North Carolina community practice standards (Best Practice Guidelines of the American Academy of Child and Adolescent Psychiatry, American Psychiatric Association, American Society of Addiction Medicine). For some, recovery from mental illness is a long and especially challenging road. For adults with Severe and Persistent Mental Illness (SPMI), Monarch provides Psychosocial Rehabilitation (PSR). PSR utilizes evidence-based practices to empower individuals with the skills they need to serve as active members of their community. PSR staff members work with people in a group setting where positive peer support is part of the healing initiative. Group sessions are designed to increase self-confidence, maintain mental stability, develop employment opportunities, and seek out increased community interaction. The beneficiary’s level of functioning may indicate a need for psychosocial rehabilitation if the beneficiary has unmet needs related to recovery and regaining the skills and experience needed to maintain personal care, meal preparation, housing, or to access social, vocational and recreational opportunities in the community. * PSR cannot be provided during the same authorization period with the following services: partial hospitalization and ACTT.